6-Piece Wine Accessory Gift Set, Wine a Bit // Although Thomas Lempel Oates started Manual Woodworkers & Weavers in 1932, the story goes back further. The roots of the company can be found in Oates'... This compact corkscrew is a unique extracting system. Place the unit over the bottle. Turn the entire unit clockwise to insert into the cork. The axis in the center rises to act as an indicator to tell you when the cork is fully inserted. Iron cork screw design table clock. Requires 1 AA battery, not included. Size7.3x15.4(in) Works like magic - Push down, pull up and PRESTO! - the cork is out of the bottle! Push down, pull up again and SHAZAM! - the cork is off the corkscrew! Gear teeth made of hardened metal. Handy storage tray holds Houdini Corkscrew and separate foil cutter. Closet Outs Very Limited supply Perfect Halloween wine opening giftset. 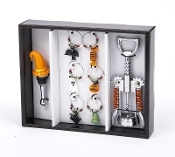 This set offers everything needed for neat, easy opening, and enjoying your favorite bottle: Corkscrew, bottle stopper and 6 wine charms. Replacement parts for Estate Wine Openers with instructions for installing parts included. Parts only work on Rogar Wine Openers and no refunds will be issued if parts do not fit or work properly in another manufactured wine opener. This Wall Mount is another option for mounting, displaying and using the Estate, Champion, Vintner, Le Grape, and Legacy wine openers. 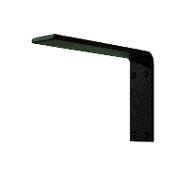 Made in the USA of Strong American Steel and Powder Coated a Strong Black Finish. Comes with Anchors and Screws 8” Long x 5.5” Tall x 2” Wide The Dynamo Rechargeable Electric Corkscrew inserts and extracts the cork with one push of a button. Effective on all corks with more power than ever before to extract each cork within 7 seconds. The Power Tower Corkscrew dramatically increases your leverage pulling power to ease the cork from the bottle. 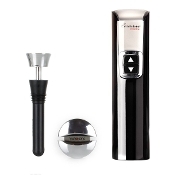 With a smooth operation and sleek design, the Power Tower is the perfect bar accessory The Stainless Steel Power Tower Corkscrew dramatically increases your leverage pulling power to ease the cork from the bottle. With a smooth operation and sleek design, the Stainless Steel Power Tower is the perfect bar accessory. 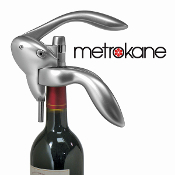 The Metrokane Original Silver Rabbit™ Wine Opener is an award winning design. 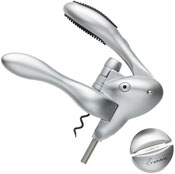 This Rabbit™ is as easy as placing the opener over the bottle and lowering and raising a lever. The Metrokane Vertical Rabbit™ in Red is the newest design from the Rabbit™ family of products. This new Vertical Rabbit™ is as easy as placing the opener over the bottle and lowering and raising a lever. The SwiftPull Pro 2 Wine bottle Uncorking System is the only hand-held uncorker to use a professional helix worm to easily open all corks, natural or synthetic. This Brass Bar-Pull Cork Remover addresses the domestic needs of the home entertainer. Easily mounted to a table or bar, this counter mount wine opener removes corks and automatically ejects them when the handle is up. 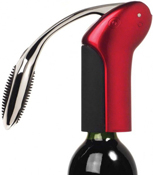 This compact innovative design Wine Opener opens bottles in seconds. Just place machine over the bottle and Squeeze the side handle and turn the bottle to activate foil cutter. 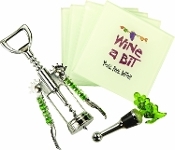 The EZ-Pull Corkscrew and Foil Cutter set is an easy to use wine opener. With it's simple turning action and self-pulling extraction, this attractive corkscrew makes opening wine a pleasure. 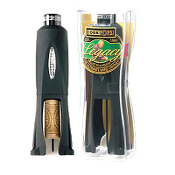 Based on the original Cork Pop bottle opener, the Legacy is redesigned and engineered to fit all traditional wine bottles as well as the new flanged lip bottles. The new rubberized black finish makes it the perfect addition to any style barware Cork Pops I opener is the fastest and easiest way to open a bottle of wine. Simply insert the needle straight down through the cork; press once on the top of the low pressure propellant cartridge and the cork is lifted out with a celebratory "POP"! 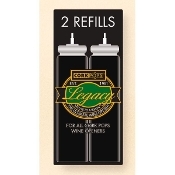 The Legacy Cork Pops Refill Cartridges are packaged two refills per box so you can enjoy your Cork Pops Legacy Wine Opener over and over. 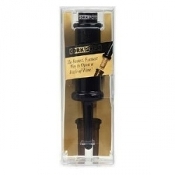 Each Cork Pop Refill Cartridge will open approximately 60 - 80 bottles of wine before requiring replacement. This Granite Cleaner and Polish cleans all granite surfaces. Perfect for Rogar wine opener granite bases as it gives it an added shine. The Hardwood Tripod is another option for mounting, displaying and using your Estate or Champion wine openers. This is a furniture quality stand perfect for using with your rogar wine opener. Rogar Estate and Champion wine opener granite table stands. Choose any of our four granite table stands and receive matching granite handle FREE. Wine opener hardwood table stand for your Estate and Champion wine openers. The perfect mount for your Rogar wine opener.